"We use it to manage all of our client campaigns"
"Priecey but one of the more reliable platforms "
I like having the automatic dialing option helping to eliminate wasted time having to transfer the number over either manually or even with copy/paste. I like also having a safe place data is stored, with the ability to be route to me dependent on specified campaign and/or rules set. I like having the ability to track other team members throughout the day on performance along next to my own from one simplified dashboard. I dislike the price for the platform as I feel it is not necessarily a platform that can help companies grow. I also have issues with the glitches as sometimes while during a calling session i will get kicked out. This is a great platform to use and seems to continue to improve as in the little under 2ys since I began using the platform it has eliminated a lot of glitches. Other than price being a little high for possibly a start up i encourage people to try it out. My only other suggestion is to possibly look at other voip phone providers to use with the platform. Call and performance tracking to evaluate agents performance and total value to the line of business. Housing data and campaign information for various clients and projects. Better call tracking and review in a timely manner. Vanilla soft uses highly qualified UCC's to develop business relationships through various interactions. The organization and pinpoint tools which Vanilla soft gives you is excellent. You are able to access a large database of excellent business owners right at your fingertips which makes generating new business so much easier than simply cold calling around the internet. I dislike the automatic email sending that happens after an email is put in for a UCC followed by the automatic email that gets sent after pressing LVM or NOA. I wish that this was disabled as it could greatly help us out in proving to people that we are not spammers. They often dislike the automatic emails being sent out and I have now learned not to enter emails into Vanilliasoft so that the automatic emails do not get sent naturally to them out of my control. It is important to develop strong relationships with your potential clients and leads. Definitely a viable tool to use for your business if you'd like to grow and develop real connections with excellent business owners. The organization and accessibility is outstanding with Vanillasoft. I would highly recommend for any business or clients seeking additional growth or marketing success through lead generation. We have reached out to real business owners and helped them grow their businesses further than they've ever imagined through Vanillasoft. We've generated crucial relationships with hard-working CEO's who have been able to utilize our services for sustainable success all as a result of Vanillasoft. I can't tell you how many times I have ran into a struggling business owner struggling to stay afloat that I contacted at just the right time. I'm sure they would thank VanillaSoft as well for connecting us along the process and for leading them to my terrific services to help their business get the expansion funds needed to excel and become successful in the future. "Ideal for personal business dev and call centres"
The ability to have all pertinent information on a prospect easily viewable, as well as related contacts for a business all in the one page. Data management is somewhat clunky, especially around editing and reassigning contacts. No visibility of related contacts or duplicates across campaigns. E.g. If you have a contact you're in touch with through one campaign in one company, it would be good to know if it has been reached out to on another campaign. Definitely dislike how long it takes to get uspport. There are some things you cannot change yourself, such as attachment library size, of which you need more than 20MB if you're an agency with many clients. We have written and called several times over the last month to have this increased and still no response. Great tool, no doubt. Just make sure you nail down requirements in the sales process as support can be lacking. The ability to burst is great with the system. I.e. Jumpin from one contact straight into the next. "Vanilla Soft is easy to use"
It's nice to be able to keep track of who I need to keep track of, and super easy to find who I need to find in when I need to find them! I like how I can disposition any lead as to what I have most recently done with them. I also really, really like that I can see who has opened my emails!!! So far I don't have very many dislikes. We use the simple version of Vanilla Soft and it is easy to use. Although I would like to be able to see my CRM for more than just the current and previous day. It would be nice to be able to go to a calendar and grab in any day and see who I worked with, management might like that too. Easy to use and does the job of keeping whomever you need to deal with in an organized fashion. Keeping track of my cohorts is easy with VS. I can immediately disposition I have connected with a client, I can immediately show I have texted them, I can even show I have connected with them via text thanks to the handy administrative feature allowing us to create our own disposition codes. We are outreach advisors at a college and we can even morph VS for us to post grades into certain areas so we can see at a glance which students are at risk of failing. When you have any other CRM, prospecting for your business can be overwhelming and scare you when you see a whole list of names or businesses to call. VanillaSoft puts just one contact in front of you so you can worry about what's next because you have no idea. If I was in charge and had the chance to change something about VanillaSoft, the only thing I would take a look at is that detailed stat keeping beyond the day that you are in. I like to see how my prospecting went call by call after the day has passed. If you are somebody that gets overwhelmed during prospecting. I recommend using this CRM, because you don't know which contact will pop up next and you can't just hit a "back" button and choose another contact. You and your administrator can see exactly what you did during that call, this is also helps me with self-discipline when calling prospects. We are interested and becoming familiar with the email drip for email marketing our company now. It's very easy to just attach a file and have VanillaSoft send it out to a wide number of prospects so we personally do not have to go to each contact and send each email individually. "VanillaSoft - best. crm. EVER." The best thing I like about VanillaSoft is how user friendly it is. Very easy to navigate and ensures I stay productive making calls and contacting clients. I would definitely recommend this software to any small business that is needing help with CRM / lead organization. There is nothing I dislike about VanillaSoft. I have been using this software for almost 2 years and it has been a very positive experience. This is a must purchase - very cost effective and it will increase productivity. The organization is incredible and has been a crucial factor in my work success. This will not only improve client knowledge but client retention as well. I'm solving the business problems of overspending on operational costs. I have realized that VanillaSoft is very cost effective and allows for more productivity. Also, lead organization is another solved problem. The CRM features are outstanding in terms of customization, service, interface, and simplicity. The entire user experience if rated on a scale of 1 to 10 is 10. Helpful staff that are there quickly to help with any issues that come up or that you have questions about. Any cons that I did have, have quickly been fixed. I really can’t come up with a feature that detracts. If I had to pick something, I would say that it would be nice if duplicated contacts could be filtered out automatically. Highly recommended. Easy to use and and integrates well . It allows me to perform my job faster, better and with more accuracy. I like the fact that all my notes, emails, calls and to do's are up front and center. We have used VanillaSoft since the early days of the business and it has helped us to maintain exceptional levels of productivity. It is very user friendly and provides intelligent info and feedback on reporting for our clients. The layout is very simple yet effective. It assists our outbound calling team to manage pipelines and make a high volume of calls in an efficient and cost effective manner. It is significantly better than any other CRM we have seen. "Fantastic product! A must buy!" The in-house VoIP increased my calls per day drastically, and I cannot think of doing my job without this service. Another great service is the ease at which one can import and export data to and from VanillaSoft. There are various other extraneous services that I do not require for my job. I am sure they are useful to other customers, but since I am a department of one I do not need to assign call campaigns to other users. If you are looking for a way to reach customers more efficiently, look no further. VanillaSoft allows me to spend less time dialing phone numbers and more time talking to accounts. With this service I can reach more customers and thus create more business for TAG on the front end. The result codes also allow me to better analyse the results of my campaigns. These improved results allow TAG to change our business strategy in order to accommodate the actual needs of our customers more effectively. "Appointment Setting CRM that does it all!" The incredible functionality and extreme level of configuration options available. I have a highly customized system that I have perfected over time to meet the needs of my staff and clients simultaneously. Additionally support staff are highly responsive and more helpful than any other SaaS provider I have used. Unlimited Projects, and amazingly simple ability to copy projects and data between projects. Appointment setting for multiple external agents / clients and calendar sync with Google. Certain menus require scrolling and will not jump to the options that start with a letter you type, while others will. This is a minor frustration granted, but remembering which will work and which won't is bothersome especially when you have HUNDREDS of options. (External Agent Calendars/Emails) Lack of support for copied basic formatting (bold italic underline) options in emails and scripting pasted from common files like Google Doc's or Word. WYSIWYG editors are basic and simple things can be recreated to an extent but better support for copied formats would be preferable to an upgraded editor. V.S. is the main system we work from we use it to market and set appointments for our clients. The flexible reporting, dashboard access and login hour tracking is essential in our job tracking / client billing. The built in timezone calculations sounds basic but helps immensely when scheduling appointments for clients who market nationwide. We were in the market for a new calling software for our higher-education phonathon. There are three major contenders in the field, but none of them fit what we were looking for - something where we could control our screens, build specific call routes, and even manipulate data on a daily basis. We took a chance when looking into a sales-based software and haven't been disappointed as it has fit almost every need we were looking for. Use full advantage of the features - I'm still learning everything that VanillaSoft can do, but I have been continually amazed that there are always easier ways to do things I'd been doing before. We are able to readily manipulate our data and customize fields on the whim. Before, that was a huge undertaking and would take a lot of manual hours. Now, it usually only takes a few minutes, saving us a huge amount of overhead. The software is very user-friendly and easy to navigate. The advanced search function is critical when sorting through a large volume of clients. This is the perfect CRM for over-the-phone or inside sales and I would definitely recommend it. VanillaSoft has a lot of extremely useful features such as lead management, email, effective software integration, along with many others. There really isn't much that I don't like about VanillaSoft. There are a few things that could improve on the layout, but these are very minor. This is great for anyone who needs a better way to manage their sales staff and provide an easy to use CRM. This can be implemented for a large or small sales force. VanillaSoft is extremely helpful with maintaining contact, organizing prospective clients, and scheduling appointments. I am able to see what leads I have touched and what leads my colleagues have touched. It allows for easy intergration with email so that working agreements can be created and emailed through vanilla soft. VanillaSoft can also be adjusted for an individual companies needs. I love the dashboards as it allows all of our team members to see exactly where they are in terms of outreach and connecting with their clients. This builds momentum and gets our competitive juices flowing as we push each other daily to connect with our clients. Theres not much that we don't like. I work in higher education, and because we don't have a CRM that we are able to customize and align according to our program goals and value, Vanilla Soft has been a dream come true. I highly recommend VanillaSoft, as it has acted like a CRM for our work and allowed us to leverage our performance so we can focus on our outreach to our clients without getting caught up in all the numbers. VanillaSoft gathers all our data, allows us to customize accordingly, and constantly push the envelope in building relations with our clients and seeing them retained. We are able to identify our clients who are at risk and need more support from our program. This has been vital to ensure that our services are being utilized by those who need it the most. The reports have been amazing to see the numbers we track and goals so clearly and at the push of a button. "Calling alumni made efficient with VanillaSoft"
I like the simple interface that VanillaSoft uses. I use the software to call alumni of my school and being able to learn the ins and outs of it was easy due to its user-friendly design. I rarely have to touch my keyboard, only needing a mouse to make calls, mark calls according to how they went, etc, This saves time and enables me to call a large number of alumni in a productive manner. While there are not many aspects of VanillaSoft I dislike, one component of the software that could be improved is the number of choices made available to me when detailing what happened on a phone call. For example, I would like to have more options to choose from when explaining why someone may have decided not to donate that would not require me to have to manually type it out. Additionally, not being able to process credit card donations within the software itself can require me to engage in duplicitous actions, but other than that, VanillaSoft is great! I would highly recommend any company to invest in being able to access the power and features of VanillaSoft! I am enabling my school to reach out to numerous alumni, document their experiences and giving and provide meaningful feedback to Bucknell. I have enjoyed being able to speak with a diverse set of individuals, without any technical difficulties, in a short time thanks to VanillaSoft. Time saved from all information accessible from one screen and dashboard for time and call tracking. Has useful and honestly better reporting on KPI's then most other calling systems I have used. As it compares to many out there it also has a much more desirable look to it overall. The search sometimes requires all information of prospect to identify, then others are able to be searched by just their last name. Can get frustrating at times as all the information needed I may not have. Sometimes support may be hard to reach due to high demand. Not really a downfall as it is still faster then most but I have had to wait for up to 30 minutes previously to have platform refreshed. I feel VanillaSoft will honestly surpass you expectations as it is a very affordable choice to your call center system with analytics and ease of use. After using the platform daily for a reasonable amount of time I am confident in recommending the platform above anything else out there. Call volume and overall revenue as it allows push to call and continuous calling in turn saving time not having to dial each number one number at a time. "Vanilla Soft as a CRM"
I am an Online Success Coach for Salt Lake Community College. We built this program from scratch with limited funds for a CRM. VanillaSoft offered us a way to better manage documentation of our calls, customizing weekly email templates, and especially generating daily productivity reports for individuals along with comparison to other team members. We have yet to find a way to generate a type of engagement reports when looking at an entire cohort vs an individual student. It may be limited to the package our college has purchased vs the tools VanillaSoft has available. 1.) Knowing I can pull up a student and remember details of our last conversation, emails that were sent, and remind them of this week's priorities. 2.) Reports for both individual and team productivity. 3.) Customization of communication when creating email templates or sample scripts to remind employees of weekly discussions. "Exellent funtionality. Easy to use! Keep's our company organized! " Organization! We are able to keep all of our reps on the same page, and following our process. Easy to update as needed. VanillaSoft changed the game for us. There is a spot that says it will take you to our website, but I haven't been able to get that function to work. Other than that, it has been smooth sailing. The very few times that VanillaSoft has ran slow, it gets fixed nearly immediately. Get this for your company, you will not regret it. Our company loves the system, and wouldn't use another. All of our information, prior to V.S, was filed on paper. It has allowed us the ability to organize our company and makes it easy to search our database for clients, and result their information as we speak to them. It has been extremely advantageous for us. I would highly recommend VS to anyone who is considering. "Good choice but not my 1st"
I like the easy to understand dashboard with real time stats of not just myself but my whole team. I like the custom reporting for the day, week or whatever time frame you want. It hold a lot of data and easily feeds each prospect to you with the convenience of an automatic dialer. Customer support seems to take a while whenever dealing with them due to platform crashing or freezing which seems to happen a lot. I do not like the lack of API's for the platform to bring together with other platforms for work to help save time and convenience. Start working to create API's for the platform for multiple other business platforms to enable better workflow and performance from agents. Saving time with the automatic dialer and a organized and safe place to house the data used in each campaign. "Vanilla Soft is a salesperson dream CRM "
Without a doubt I have made many sales due to Vanilla Soft's easy to use software. The texting feature alone is worth the money. In addition, the reminder feature is wonderful. If you are in sales you simply must use this software. Ease of use. Fast learning curve. Return on investment is quick. Excellent product. I wish I could send out a mass text to my database. Otherwise, I do not see other features I would like available. Highly recommend anyone with a database of prospects will benefit using VanillaSoft. As a salesperson following up with a prospect is critical to my bottom line. VanillaSoft solves my organization issues leading to greater sales. "VanillaSoft is easy to use and has all the features I need"
It is easy to navigate and easy to use and has great features that make my job easy. On the occasion that I have a problem that is either user error or possibly the system has a problem (which is uncommon), customer support swiftly solves my problem. The deduping feature could use some work. Sometimes I have thousands of results that I have to go through and select one by one, which is time-consuming and irritating. There is a quick select feature, which I sometimes use, but often the quick select options do not fit what I need to select. I've never used anything besides VS, so I don't have anything to compare it to, but I don't feel any need to try anything else. It has great features that are really useful to me, and on the rare occasion that I have a problem, they kindly and swiftly solve the matter for me. Truly though, I only have technical difficulties like once a year. It meets all of my needs and it is easy to use. I like the features under Contact Management. The filters under Intellective Routing are great. The user side is easy to use. It's all pretty easy and helpful. "Vanilla Software, employee for call center"
The layout is easy to use. I have my business info on the left and My Own Note space on the right. The only minor inconvenience may be scrolling up and down to see call logs if there are more than several listed. I do not have an idea however of how this could be made any easier except making the text smaller. Easy to use, just give it a try. I call companies on behalf of Hotels to try and gain their business. I gather information from many of the business that help Hotels target those who are in the market for their business. "Easy to use system with great features! " Vanilla Soft keeps all my contacts and appointments organized. It allows me to easily do my job and send our auto emails that I can create on my own for specific reasons! "Vanillasoft is a GREAT CRM"
VanillaSoft Makes it easy to work 500+ leads each month. It has a built in script that you can customize for your business. You can send emails and texts that you have prewritten with the click of a button. You can add custom fields. You can use the click to call so you don't need to dial each number. You can program the system to notify you when an email is read. I wish they offered MMS and the ability to see a pipeline view. You can only see one lead at a time. I need a system that allows me to work a high volume on internet leads. The Customer Support is excellent. My small company has no in house CRM administrator, so I have to figure issues out myself. Without VSoft phone support I'd be in trouble. I'm used to Salesforce and the thing that is most difficult for me with VSoft in comparison is pipeline management and forecasting. These functions may exist and I just don't know how to use them. If it's half the price of Salesforce, it is worth the savings. Lead management is mainly what we use VSoft for right now. It's allowed us to get our outbound calling activity way up. "I have to use Vanilla Soft to do my call screener/lead verifier"
Well on Vanilla soft the idea how easy it is to use the software and dialer and built in CRM to put notes and put the disposition of the phone call after I am done with it and going on to the next phone call. I really have nothing to dislike about Vanilla soft it works for me. no business problems what so ever with the usage of VanillaSoft. Well as for benefits hmm not alot to say except the fact I can click on the number in the software and the dialer comes up automatically to dial the number one at a time. Been using Vanilla Soft for 7 months now and it is just absolutely amazing. Makes our job a lot efficient, effective and accurate. The best thing about it is the routing of contacts is so intuitive, the report is fantastic and the nurturing system like email drips, auto-email, auto-dial, etc are spot on. None so far. Just waiting for SMS feature to be available in Australia. The routing of contacts of who is the priority is the best part of this CRM and that solves our issue of wasting too much time to contacts that are not that important. "Medicare advisor working uploaded data base to call on Medicare prospects "
Main reasons we chose VanillaSoft is because we can manage lead generation campaigns multiple clients with just one instance of the application (don't need a subscription for each client) and agents can easily switch between client campaigns throughout the day. We also like that VanillaSoft includes a dialer, and we can control how it dials at the campaign level, using either auto dial or click to call. If it integrated with our time clock, that would be beautiful. We're also in the process of moving away from the VoIP provider they partner with because of service levels and other telephony support issues. If you're a call center, I advise you use Ring Central as the VoIP provider even though it may require more custom integration. We provide phone outreach on behalf of many different clients. Our agents can make anywhere from 150 - 200 calls each day and work on 3 different clients throughout the day and week. Results of each campaign and of the agents is easy to monitor, including a variety of KPIs plus easy access to call recordings. Plus our clients love that we're able to share our contact history and notes from all the calls we've made on their behalf. They also really like the lead notification feature which allow our agents to send leads to them immediately via email. "VanillaSoft is the CRM You Would Invent if You Could!" VanillaSoft is the perfect CRM for B2B lead generation, allowing a view of both the company, and all of its contacts simultaneously, which gives our reps the tools they need to be extremely productive. The software is intuitive, so new reps need only about 5 minutes of training to get started using the CRM. VanillaSoft could improve on reporting and on some of its integrations, but I give them credit as compared to Salesforce.com, VanillaSoft has kept its focus on the one thing that matters most --- ease of use for rep productivity in dialing/emailing and handling inbound leads,, whereas Salesforce.com tries to do a lot of things --- none of them well, and every bit of Salesforce.com must be customized to an organization. By comparison, VanillaSoft is ready to go with very little effort and training. Try VanillaSoft before trying any other CRM for inside sales or lead generation. You will invest a few hours in setting-up your processes and training your staff --- and then you'll be on your way. I have done many implementations of CRMs, and VanillaSoft has the absolute best features for B2B calling. We use VanillaSoft for outbound B2B calling, and have found it to keep our reps focused and productive. Navigating the software is super easy. I especially love the calendar integration that is included. It will alert you if you happen to schedule an appointment on top of another one. It also allows you to sync your calendar to your email client. I use GMail and it works flawlessly. I'm able to look at my appointments on the go without having to be at my computer at all times. VanillaSoft experiences some lag and some server difficulties. However, this is not too often that it happens. Take a day to navigate the software to see its full potential. We are using this software to track calls to potential clients who request information about health insurance. Features like the automated dialer increased productivity for the user. "Fantastic easy to use platform"
I have used several different crm's and lead management programs. Vanilla soft is by far the best I have found. It is really easy to use and easy to customize for your business. It allows me to run reports with just a couple of clicks. But the call routing is by far the best benefit we have found as it is very beneficial to our clients as well. Being an admin user has made my life much easier as well. Very easy to make quick changes, save, and move on. I would highly recommend Vanilla Soft to everyone I know. Quite often I need to leave a note on a prospect record and do not want to terminate the record. It would be awesome if there was an easy way to be able to do that. Say maybe type the note and hit save, or something along those lines. You can do it on the backend, but it is time consuming that way. I would highly recommend this product. It literally does everything that I need to track prospecting. Call routing is a benefit we use to actually close deals with our clients. Because we are able to generate an informational email to prospects on behalf of our clients and then are able to set a date for that record to come back into the front of rotating is key for us and our clients. Also it automatically rotates the record to the front when the prospect has opened the email. Also being able to have extensive information on the home screen for our callers saves time as well. VanillaSoft is easy to configure, easy to get data in and out of, and fairly simple to use. If you can read, you can be up and running with a telephone campaign within a week without paying a third party vendor for consulting or other nonsense. The reporting interface is REALLY clunky to use. If you're looking for a cheap and easy to way get a phone campaign up and running, VS provides a pretty simple software. We use VanillaSoft to drive our alumni phonathon campaigns. For the price, we were able to end our contract with an outside vendor, use VanillaSoft AND hire another staff member. I like that VanillaSoft is so user friendly, extremely customizable and has a phone system that is easy to use. I love the fact that you can send emails right from their system and that you can view your script or the prospect's website, on the same screen that your lead information is on. The only thing that I dislike is the fact that there is no live technical support, although their support team does respond back via email within 24 hours. VanillaSoft makes the sales process much more efficient with all the information your need in one place. It is easy to status calls, view call results, and make phone calls. With the automated dialer, I'm able to make phone calls much quicker. Very easy to use, while offering many features. Provides us everything we need at a good price. Support is usually very prompt and helpful. Service issues occasionally cause problems that impact productivity. Ease of using the software makes training callers very easy. Leads to happy and effective callers. Reporting options are excellent, allowing clear communication of results to executives and clerical staff. Segmentation options allow us to tailor scripts to prospects and makes for better calls resulting in more money raised. "Wow, Flexible, Reliable and easy to manage CRM "
It is super easy to train new team members on how to use the system. We use the software for managing sales leads and more importantly for managing operational workflows. One of the things we use VanillaSoft for is operations and support for our members. It is not the intended use for the software however we make that work like a charm with VS.
"SEEMS TO BE FAIRLY GOOD, MAYBE JUST A FEW TWEEKS THAT WOULD NEED TO BE DONE"
I DON'T LIKE THAT SOMETIMES THE CALLS OVERLAP AND CALLS FAIL TO OFTEN. I really like how VanillaSoft is really easy to use and learn how to use. I just started with my company the first week of January and I couldn't believe how easy it was to navigate this system. VanillaSoft has helped us with organizing leads and creating appointments with an all-in-one system. It makes communication with other departments and coworkers very easy. "Vanilla Soft has made company productivity and lead management much easier"
- The ability to auto dial and quickly make it through leads. Vanilla Soft has a Voice drop feature that does not work for cell phones when leaving messages. This is probably the one of the biggest time savers when it comes to leaving messages. We no longer use this feature because of its inconsistency. Vanilla Soft has no fix as of yet. Vanilla Soft does not have the ability to receive incoming emails to leads this would be my number one feature add. If you are setting this up your self . You will have to do a lot of reading to wrap your head around this product. Huge learning curve. - Productivity has gone way up. "Vanilla Soft is a great way to keep it simple." The best thing about Vanilla Soft is how easily you can create templates to send mass emails. You can also have your calls monitored and the software is able to pick which leads you should call first. It is somewhat difficult to learn how to navigate through the software but after playing around with it for a few days you should get the hang of how to do all of the things that Vanilla Soft is capable of doing for your business. This is a newer company that not a lot of people know about yet. Since that is the case, getting in touch with their support team is easier, but it also takes time once you are in touch. Like I said, the software can be difficult to use at first, but once you play around with it you will be navigating it easily in no time. If you have a business where you need to reach out to a lot of customers with a generic email that gets the point across then this is the product for you! The easiest problem that has been solved is the fact that mass emails have become a breeze. This way you only have to thoroughly check through one email, and then that email can be seen by so many different viewers. We are also able to screen calls much more easily and place important customers straight to the top of our list of calls received. "Love the product, Love the company"
Offers the features that enable a small company to compete with larger competitors. I can provide best in class service to my Fortune 100 clients - marketing teams love what we can do and the feedback to enable them to continuously sharpen their focus. Not really dislike, but would like a mobile app so I can address issues when I am not in my office or at my desktop. Company is very responsive - I have had issues outside the box - customer support has been great to point me in the right direction so I can continue to be responsive to my clients. 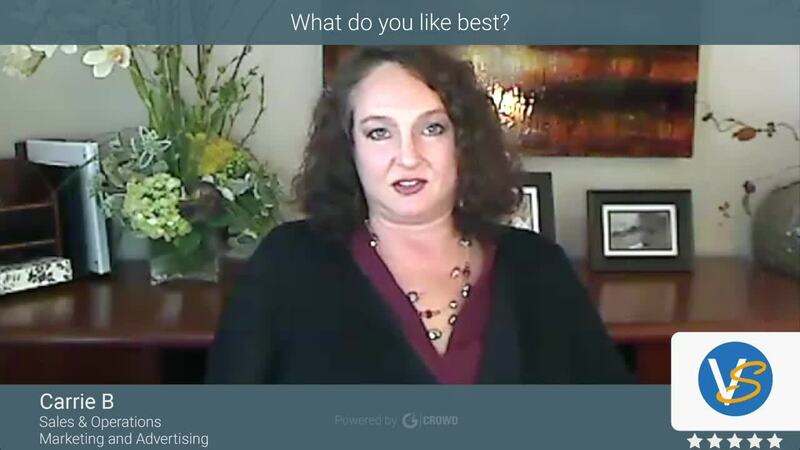 I can give clients real time feedback to campaigns which enables them to address issues real time. Clients love what we can provide and our responsiveness to help marketing teams meet their demand generation/lead generation goals. "Okay software for calling without major insights"
The dialer is easy to use so callers are more productive than with other software. I also love the ability to easily create and view reports. Additionally, VS gives you a quick and easy view of what callers are doing at that moment. So this is great for remote managers. Sometimes you get quantity over quality for dials because of the lack of insights provided by VanillaSoft. Other programs provide much more prospect information but dials are also slower, so it's a give and take. I think there is a happy medium between the lack of info easily viewed in VanillaSoft vs the excessive info viewed with other software. Also, the dashboards are incredibly slow to pull up. This needs to be fixed. Consider how integrated you want your outbound calling to be. If you need a simple software that allows you to make quick and easy dials, view success and challenges your callers are facing and review the health of your lists, this is for you. If you need something more detailed, this may not be the right product. 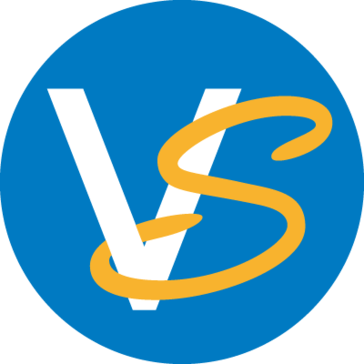 VanillaSoft is a program that allows you to upload, dial into and document call outcomes. You can easily pull reports on lists to gain insight into the health of the lists. 1. Technical support is not asking me should they close the ticket or not. 2. We have business hours by New Zealand time and if I call to Vanillasoft to get phone support I can talk only to a non-technical person. It takes long time to spell name, e-mail etc. Better solution could be just ask for the ticket number as there is all personal information and issue history in it. That will save time. We can dial the and manage our leads. As well as have reports on leads processed. Before using a CRM for our business, we would print our leads and call stacks of paper leads, leaving our notes on the lead card. VanillaSoft eliminates the need for paper that and has increase our conversion by 20%. I dislike the "window popup" that comes up each time a call back is routed. Efficiency is supreme. No wasted time thinking about what needs to be done, VanillaSoft does that part for you. "Vanilla soft works great and easy to use"
Fix the advanced search, I don't like going back to the query page after I make an advanced search. I like the simplification of one drop down to find all areas of the platform you may need to access. Also, being able to look at the dashboard to see your KPI's along with the rest of your team. I dislike the recording of calls is not always done. When dialing calls on auto dial if the call button is not in gree but instead in red it is not recording. It does this very randomly causing an extra step when placing calls. Report any bugs to ensure product will become better. Productivity was a huge problem previously with being able to manipulate systems. Now VanillaSoft accurately tracks agent's performance. "Easy to keep notes on all current clients"
I love how detailed you can get if you spend time building it the way it best suits your business. I like being able to send clients back to sales guys right into their cue. The search function should be a little more broader. also when you leave a comment you should be able to edit although it would showed it was edited. solving the clutter of having thousands of clients and trying to keep up with them. The email function is great. Just setting callback and being reminded with the notes is a game changer. Makes phonathon a much smoother, faster, more efficient and user-friendly operation for callers and potential donors. Lovely customer service team and an adaptive and pretty intuitive space. Wish there was more included in the base rate and that result code buttons would automatically send templated e-mails. Helps with ROI significantly. Great way to organize phonathon callers. WYSIWYG. User-friendly and GREAT customer service! Love the ability to re-segment lists in the software. Great flexibility with coding by list. Higher ROI in phonathon and better conversion of leads and prospects into donors. "All in one simple CRM"
I am so happy not to have to cobble together my addresses and calendar info to create a follow up system that keeps my customers and clients feeling my presence. It's sometimes frustrating when I come across the wrong person and I add a new record and VS makes me call them next, especially when I have to call the same front desk to ask for the new contact. I think it's a customizable tool that really makes a difference in staying in front of your prospects. I think I have less anxiety wondering if I've forgotten a task or a call back. Reliability, insight into the pipeline and differentiate between campaigns. The only issue is when an issue that cannot be rectified by Rachel (Account Manager) have to wait for Canadian support. Complete control, ability to switch between campaigns seamlessly and manage campaigns in house with little support required. Almost off the shelf solution. What can you learn by studying 130,000,000 sales interactions? * We monitor all VanillaSoft reviews to prevent fraudulent reviews and keep review quality high. We do not post reviews by company employees or direct competitors. Validated reviews require the user to submit a screenshot of the product containing their user ID, in order to verify a user is an actual user of the product. Hi there! Are you looking to implement a solution like VanillaSoft?